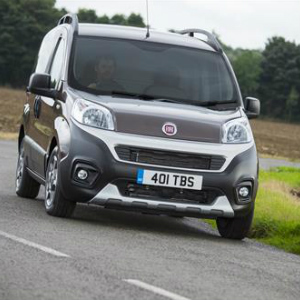 The all-new Fiat Professional Fiorino has underscored its financial appeal to UK fleets and business users with an impressive triumph on its MPG Marathon debut. The stylish newcomer is the latest version of the original small van which established a new commercial vehicle segment. It topped a fiercely contested field for fuel economy to win the annual economy driving challenge’s van category. Driven by former fleet manager Doug Powell with co-driver Tony Waddington, the Fiorino excelled for fuel economy, returning an overall 72.08 mpg – nearly 18 mpg more than its nearest competitor and an improvement of 12.28 per cent over the official manufacturer ‘combined mpg’ figure. “We are absolutely delighted to see the new Fiat Professional Fiorino perform so well in the MPG Marathon and especially to see it lead the pack so convincingly in terms of fuel economy,” says Alejandro Noriega, Country Manager, Fiat Professional. Available in Cargo and Combi body styles, the Fiorino is priced from £11,315, excluding VAT and OTR charges.